Home » Treats » Bones & Chews » Jones Natural Center Bone 4"
Jones Natural Center Bone 4"
4” Natural Center bones are oven baked with no smoke flavor. Most of our centers will have succulent marrow in the center of the bone along with tasty meaty pieces left on the bone. 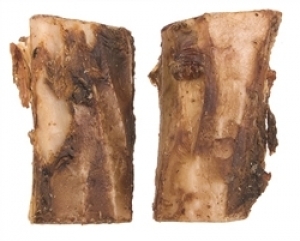 They are USA all-natural beef femur bones with no artificial ingredients. Tags: Jones Natural Center Bone 4"